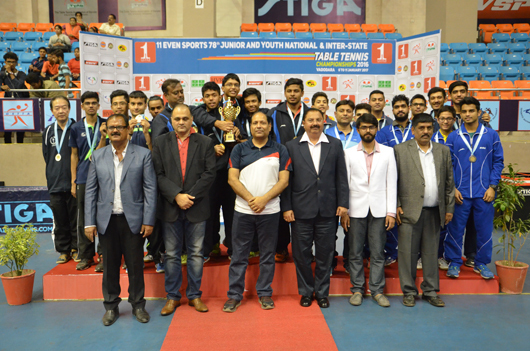 Vadodara, January 11: Manav Thakkar of PSPB was well on course to make a complete sweep of the national titles but just ended sans one, winning Youth Boys and Junior Boys singles and then adding the Junior Doubles for his best ever collection of silverwares at the 11Even Sports 78th Junior and Youth National Championships at the SAMA Indoor Complex, which concluded here today. 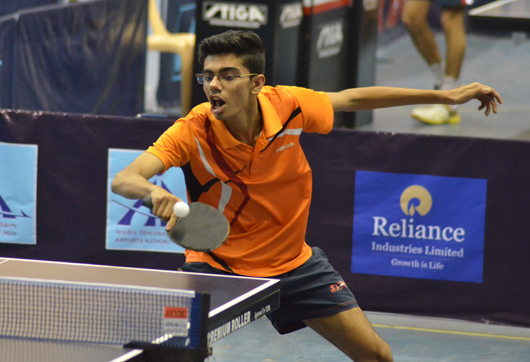 Vadodara, January 10: When the main draw tends to be of 64 players in all four categories of nationals, the singles events are bound to be weary and tedious. 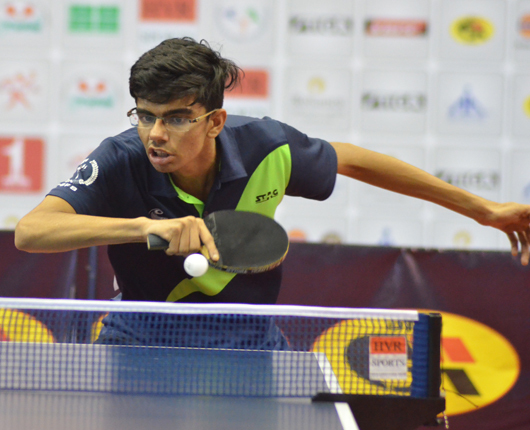 And when common players compete in singles as well as doubles, the misery for paddlers is complete. Yet, they are always game for the arduous journey as one witnessed in the ongoing 11Even Sports 78th Junior and Youth National Championships at the SAMA Indoor Complex here today. 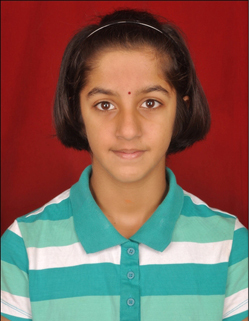 Vadodara, January 9: V. Laasya Subramanyam of Telangana became the first one to book her berth in the main draw of the Junior Girls when she sent Kushi Viswanath of Karnataka, the Group 1 leader, packing with a shock 3-2 verdict in the 11Even Sports 78th Junior and Youth National Championships at the SAMA Indoor Complex here on Sunday. Vadodara, January 8: Arjun Ghosh was the toast of West Bengal today as he helped his team defeat a strong Petroleum Sports Promotion Board 3-2 to lift the Youth Boys trophy, while Airports Authority of India downed Tamil Nadu 3-1 in Youth Girls team final for the crown in the 11Even Sports 78th Junior and Youth National Championships at the SAMA Indoor Complex here on Sunday. Vadodara, January 8: PSPB will take on West Bengal in Youth Boys final while it will be Tamil Nadu versus Airports Authority of India in the Youth Girls final of the 11Even Sports 78th Junior and Youth National Championships. In Junior Boys final, Maharashtra A will take on PSPBA and Tamil Nadu Junior Girls will take on West Bengal in their finals which will be played later in the evening at the SAMA Indoor Complex here today.